North Korea’s new space agency: NADA! This is the second best name for a space agency after “NOVA”. Joshua Pollack’s response: “NADA to Envy”. Read more in Rodong Sinmun here. Pyongyang, March 31 (KCNA) — It was one year ago that the DPRK Law on Space Development was adopted at the Seventh Session of the 12th Supreme People’s Assembly. The DPRK has pushed ahead with space development projects to turn the country into a space power, fully exercising its right to peaceful development of the space on a legal basis. The National Aerospace Development Administration (NADA) is the country’s central guidance institution organizing all the space development projects. Its mission is to put into practice the idea and principle of the DPRK government to develop the space for peaceful purpose. The emblem of the NADA was recently instituted, which represents its character, mission, position and development prospects. 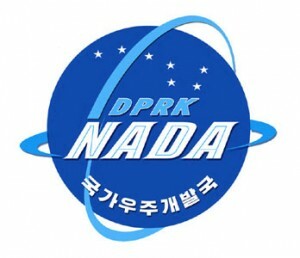 Seen in the lower part of the globe-shaped dark blue emblem are white-colored letters “Kukgaujugaebalkuk” (National Aerospace Development Administration) in Korean and in its upper part light blue-colored letters “DPRK” with the Great Bear above them. Printed in its middle are white-colored letters “NADA” in English. Two light blue-colored rings intercrossing the emblem symbolize satellite orbits. The Great Bear reflects the will of the space scientists of the DPRK to glorify Kim Il Sung’s and Kim Jong Il’s Korea as a space power. The globe represents the DPRK’s idea for peaceful development of the space and the rings show the DPRK’s will to launch satellite into all orbits. Stipulated in the Law on Space Development are the principles of developing the space for peaceful purpose on the basis of adhering to the principle of Juche character and self-reliance, as well as settling the scientific and technological problems necessary for improving the economy and the people’s living with space science and technology. The law also specifies the position of the NADA and the principles of notification, security, investigation and compensation related with satellite launch. The law calls for cooperation with international agencies and other countries on the principle of ensuring equality and mutual benefits, respecting international law and orders for the space. Clarified in the law is also the DPRK’s principled stand to reject the application of selectivity and double-standards in space activities and the weaponization of outer space. Here is coverage in the Wall Street Journal. Here is coverage in NK News. You are currently browsing the archives for the National Aerospace Development Administration (NADA) category.